Eisner-winning comics author and occasional Marvel mastermind Brian Michael Bendis has a decent track record when it comes to seeing his work adapted. Powers—based on one of Bendis’ creator-owned properties, with artist Michael Avon Oeming—appears to be making the Playstation Network people happy enough to renew it for a second season, and almost all of the recent Spider-Man films have lifted tones and elements from his ridiculously long run on Ultimate Spider-Man. 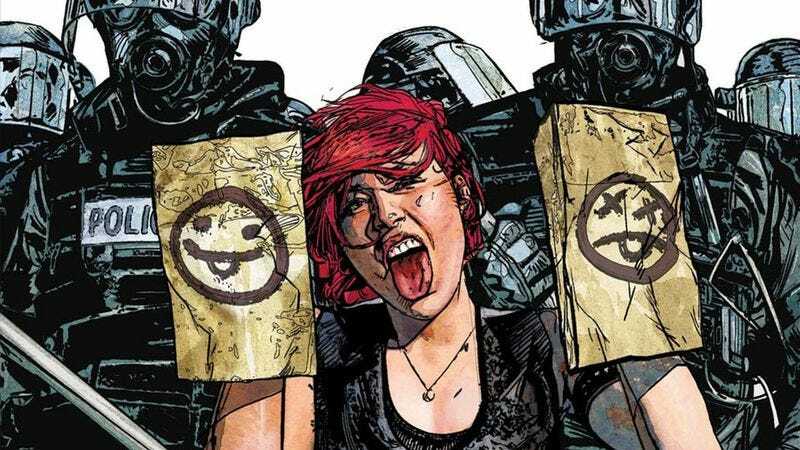 Bendis’ biggest success, though, is probably Marvel’s Jessica Jones, which was based on a character the writer created with artist Michael Gaydos, and which drew many of its plot elements from their early-2000s comic series Alias. Bendis has been working on Scarlet (with artist and co-creator Alex Maleev) since 2010, although the pair’s busy schedule means only eight issues have ever actually come out. Cinemax recently gave itself another comic book hit with the exorcism series Outcast—from Walking Dead creator Robert Kirkman—so apparently it’s in the mood to gamble on small, creator-owned properties like this.